There are certain things that make a place unique. 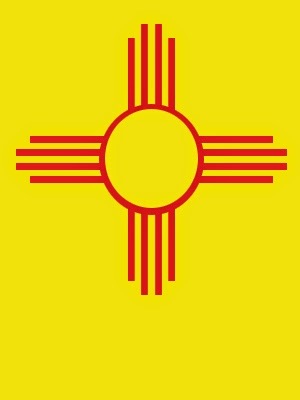 Many of my readers have never visited to New Mexico, and some probably have never even heard of it before! So here are a few things that are uniquely New Mexican. #1: There is a difference between Chile, chile, and chili, and yes, Chili’s restaurant picked the wrong one. Chile is a country in South America, while chile (lowercase “c”) is a pepper than is an ingredient in pretty much 90% of New Mexican dishes. Chili is made with beans. Meat is optional. New Mexicans know the difference between these three, and we just laugh when someone tries to tell us we spelled chile wrong. The best chile is grown in Hatch and Deming, NM, and fall in New Mexico smells like roasted chile peppers. #2: Cholo is a real word despite what Microsoft thinks. I had to laugh the first time someone told me they thought roadrunners were just something from cartoons. Yes, they are real. Yes, they are in New Mexico. They’re our state bird, actually 😉 And yes, I have actually seen one. #4: Cheese is a staple. There is a difference between Mexican food and New Mexican food. One of the chief differences is the amount of cheese involved. Seriously, pretty much every NM recipe involves about a pound of cheese. That’s how we like it. It is totally bizarre to me when I order fajitas at a restaurant and they don’t give me any cheese. #5: It gets really cold here! This applies to Northern New Mexico mainly, as the south does stay fairly warm all year. The high desert gets snow (not a lot) and it gets down into the teens and single digits during the winter. Just because it’s desert doesn’t mean it’s year round shorts weather. And there’s the wind. March through May, be prepared to feel like Piglet on a blustery day. It will literally try to blow you away. #6: Flooding is a real problem. That probably sounds like craziness. It is the desert after all. Yes, we only get and average of somewhere around 14 inches of rain per year, which isn’t much, but we like to get it all at once. We can get some of the craziest rainstorms you’ll see that will warrant flash flood warnings to pop up on your TV. A few years back, my kids sat at the back door and watched their outside toys float away on the impromptu river that was flowing through our backyard. If it starts raining in New Mexico, get away from the arroyos. You think stepping on Legos hurt? Try stepping on a goathead sticker. They actually look like little goat heads, with a round sticker with wicked looking barbs sticking out of it. If you’ve ever seen thorns on a Russian olive tree… that’s what it feels like you’re stepping on. Yeah. And to make it even worse, goatheads have poison in the barbs, so even after you yank that sucker out of your foot, it will keep hurting for the rest of the day. Oh, and goatheads, they’re pretty much everywhere and the plants that spawn these little devils are impossible to kill. Not only are tumbleweeds real, you can really see them rolling down the street, or through my backyard, on occasion. They’re the worst. They will roll themselves into your yard from who knows where, over your fence somehow, their pokey little stickers falling off to get stepped on or stuck in your clothes, as the go. And if you try to get rid of them while they’re still green and growing… where some thick gloves. They will poke through just about anything, and they’ve also got poison of some kind in the stickery ends. Scratches from live tumbleweeds will itch and hurt for quite a while! If you’ve never had frybread, you’e missing out. It’s exactly what it sounds like. A pretty basic dough stretched out flat and fried in vat of oil or lard. Cover it with salt or honey, or even better, all the fixings for a Navajo taco, and you’re set. I”m not the best at making frybread, but it’s delicious. It’s a staple at county fairs, fundraisers, or some random guy’s house who happens to be selling it on a Tuesday. For real, I see signs for frybread for sale around town all the time. #10: Christmas is a food preference. If you’re in a New Mexican restaurant and you hear someone order “Christmas,” you might be wondering what they heck they’re talking out. It’s summer! Those of us who live here don’t bat an eye. New Mexico is famous not only for their green chile, but for red chile as well. Pretty much whatever dish you order, you get a choice of red on green chile to go with it. Some people don’t like to choose, so they order both red and green. Christmas. See? We’re not crazy. Personally, I don’t care for red chile sauce all that much, so I never order Christmas, but it’s always fun to hear someone else order it, because where else would you ever hear that? So, here are a few fun facts about my home state. What’s something unique about where you live?